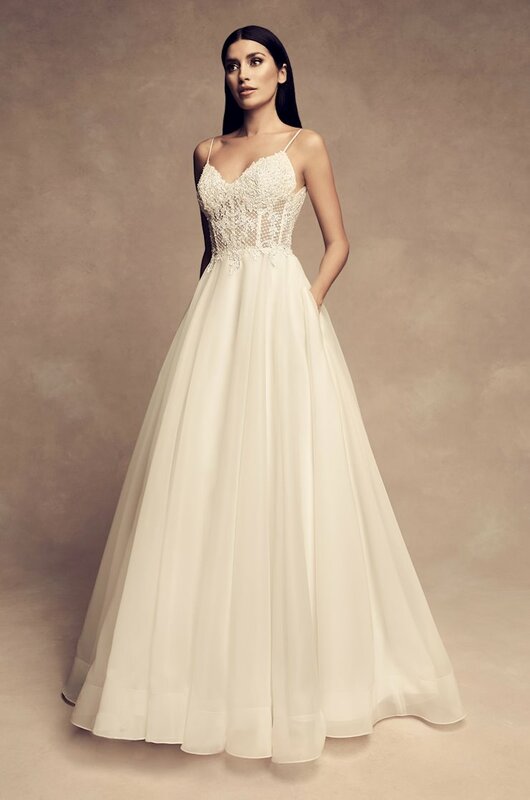 Paloma Cr�pe gown with sweetheart neckline and spaghetti straps. Beaded belt at waist. Fit and flare Cr�pe skirt with multiple shaped seams at back. 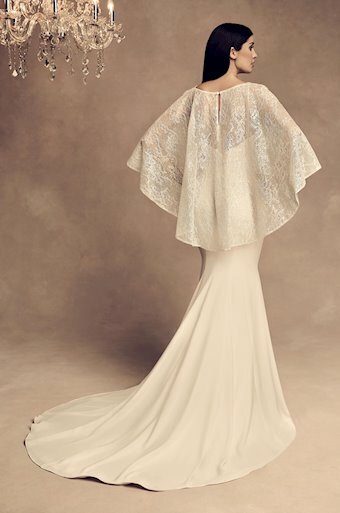 Removable Sequin Chantilly Lace Capelet with button closure at back. Sample shown in Champagne.